At the outset of the 2015-16 cyclocross season, I set a few goals for myself. 1. Have fun and progress as a rider. 4. 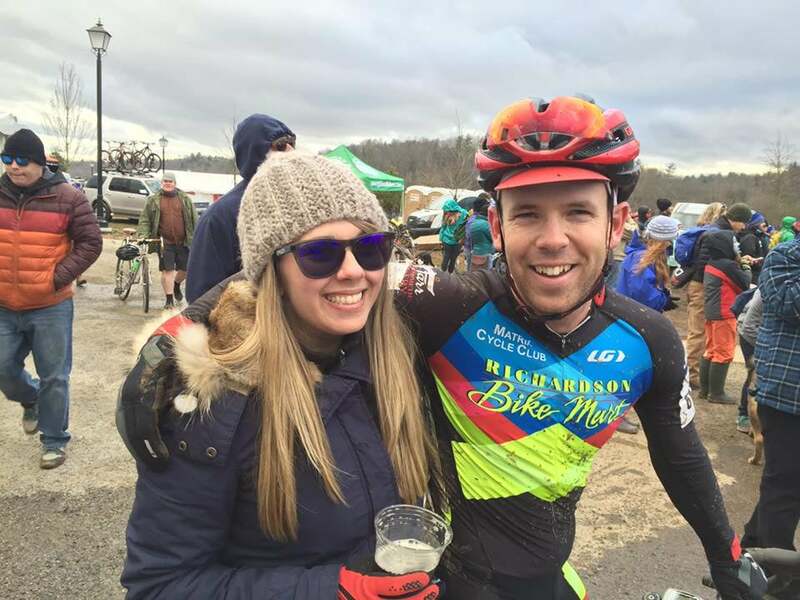 Qualify and compete at the 2016 Cyclo-cross Nationals in Asheville, NC. It’s been six or seven months since I put those goals in writing and through the heat, the rain, the travel and the hard racing of the season, I finally arrived at my last one. Heading out to North Carolina on Thursday night, I had already spent most of the week reading, listening and watching any information about the course at the Biltmore Estate. The one thing that I could be sure of was that it would be the most challenging race of the season. After catching up with my good friends Steven and Virginia, I set out for Asheville on Friday morning. I got to the course a little before noon and by that point things were in full swing. The racers were continuing to churn laps around the venue and the RBM tent was buzzing with activity. I didn’t waste much time getting kitted up and ready to roll on the course. Hopping in with hundreds of other riders and racers, I tried to contain my excitement and take an easy lap of the course. That was an oxymoron. The race was hosted at the Antler Hill Village on the northwest end of the Biltmore property, originally home to dairy facilities and farming on the property. How fitting for our race to be run through cow pastures, just as in the early years of the sport (and just like some current European races). The course itself was well-balanced and required your to bring you’re A-game. After drag racing down the start/finish stretch, riders faced a difficult run up that would be unrideable at the end of the weekend. From there the course traversed the tricky off-camber slope just below the barn before heading upward, still, to the Ingles Heckle Hill. After navigating a few steep off-camber turns, riders headed to the West end of the track where we would climb, yet again, and descend through a steep and technically challenging woods sections before making it to the finish line. By the end of my first “easy” lap, I was breathing just as hard as I would be if I had finished a lap at race pace. I was able to squeeze in a few more laps before the end of the open course inspection and decided to revel in the breathtaking beauty of the property for the remainder of my ride with a few laps around the quiet roads. If you ever find yourself in Asheville, the tour is well worth it! 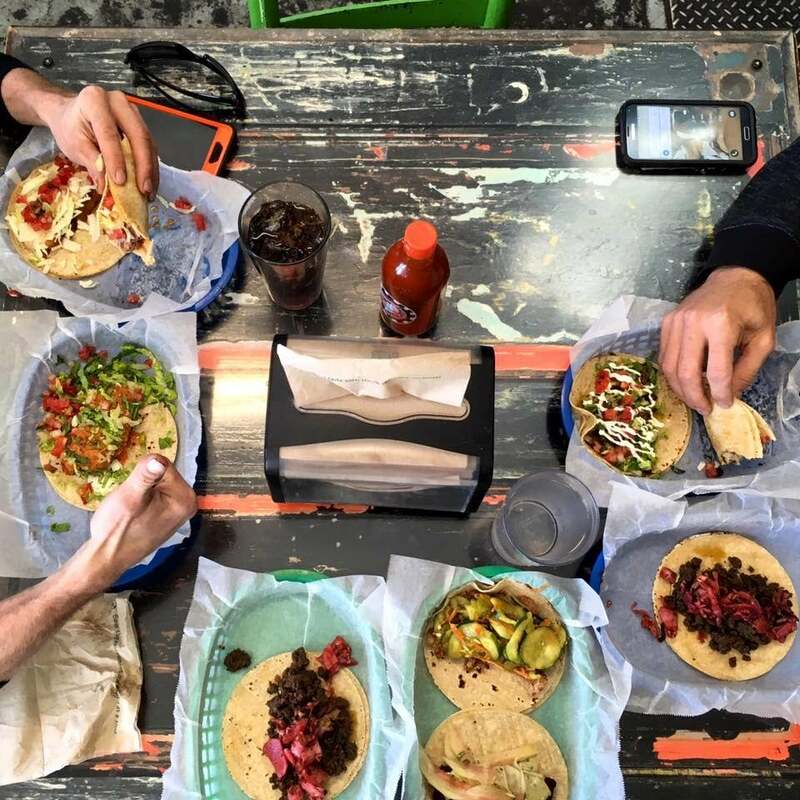 As is White Duck Taco in the River Arts District… hit that place up for sure! A new day came and we were looking forward to spending a day at the course. We showed up early to watch our teammates Abi Yates and Bridgette Tooley tear up the Junior Women’s category! As the morning block concluded it was time to get on course and continue memorizing the racing lines in our short window from 11:40a to 12:10p. During that window I was able to get 1.5 laps in before being turned away as our time got cut short. A bit of a bummer but there was still the afternoon session if needed. Making the most of the situation, I went exploring with some fellow Texans and even a bit of off-roading around the property. After a bike wash and changing back into warm clothes, our day was done. In hindsight, I should have ventured back out to the course for pre-ride late in the day but the rainy weather and clean bike in the trailer dissuaded me from venturing out to get muddy. The big day finally arrived. I actually had some good sleep and the morning was fairly uneventful. I rolled to the course and got myself situated at the RBM trailer. Fortunately, the fire pit was already going and I sat down to pin my skinsuit by the warm flames. Joe Jefferson and Richard Fries provided a great play-by-play as the early races went on, and with the conclusion of each race the tension and the excitement was building. I got suited in my warm-up kit and headed out during the course inspection period. There were a few minor changes to the course for Sunday’s events. First, a short u-turn before the first run-up, ensuring no one would be able to ride up the face. The next was an additional off-camber before passing under the Kask flyover and finally, an additional run up after exiting the barn. Not much, but it would provide additional challenges in the race. Rob took on the U23 race and was able to finish 28th in a deep field! Good job Rob! After listening to the roar of the crowd as the Elite Women raced around the venue it was time for me to toe the line with the rest of the Elite Men’s field. My call-up was on the last full row of the grid but this time I was less bummed about it and more just excited to be on the grid at all! As the crowd banged on the boards of the start/finish stretch, we were all itching to get going. I don’t even remember if I got right into my pedal or not, it’s all a blur now, but I took the first half of the lap to chill and stay out of the chaos. And there was plenty of it, as riders went down and/ or suffered mechanicals. As the field started to string out, I was moving up rider by rider and staying out of trouble. By the end of the first lap, I could definitely tell it was going to be a long race, but continued to push myself to keep moving forward. I settled into a rhythm as I found some cleaner air on course. With the leaders gone and the rest of the field shattered, I could pass a few more riders and find my way to the next group of riders. Still fresh, I was able to flow through the course and pick good lines. I nailed it on every turn and was starting to feel good about it as we came through the start/finish stretch. 5 laps to-go. Somehow, I started to believe that I could make the lead lap. Hurting all the while, I just wanted to be done already. I pushed that voice out of my head and kept hammering away on the track. Everything was going well, save for some walking on the Ingles Heckle Hill, until we got to the Bonk Breaker Hill. Many riders were taking the direct line to the first corner. Being a bit bogged down in traffic, I decided to go the lower route and keep my speed consistent. However, I made the mistake of turning up course too early and slipped out. The slow unclip and “run” through the rest of the section was painful and trashed the energy I had. The group was right there, but my legs didn’t want to go any faster to catch them. As I got to the flatter section of the course, I hammered as best I could and pedaled hard up the start/finish stretch to try and make up some ground. Still off the back of the group, I was now riding solo and starting to feel the effects of the race. My poor preparation in the weeks leading up to the race meant I was fairly out of shape as it were. Now with three full laps of the gut busting Asheville track, I was realizing just how unprepared I was. I still hadn’t been pulled though, so I could only keep pushing the needle into the red for another go around. Exiting the barn, I made the right turn to go under the bridge and take on the next run up. As I found my footholds in the mud, my left foot slipped and I had a nice faceplant in the mud. Scrambling to get back up, I eventually found my footing and got over the run up, but at that point, any hope of catching the group in front was now gone. I suffered on the Ingles Heckle Hill and recovered as best as I could before taking on the Bonk Breaker Hill. The chute heading back down to the bottom of the course was the most awesome thing ever! People yelling and screaming, making as much noise as possible. Asheville, you truly outdid yourselves there! I crossed the line and looked pleadingly at the official to pull me, but no such mercy would be bestowed. One more lap. With each lap of the course, I thought it was probably going to be my last. Knowing that I wasn’t going to finish on the lead lap at this point, I wanted to ride as smooth as I could for my last lap. As I mentioned before, the group in front was out of sight and I was just trying to maintain my spot. Riders began to catch up from behind and I tried my best to keep from looking back. The only thing that mattered now was getting to the line before they did. The final time up Ingles Heckle Hill, I again had to slow to a walking pace. My legs felt like they just wanted to cramp up at this point, but I wouldn’t let myself stop. I was smooth through the steep off-camber and made it up Bonk Breaker Hill and down the gnarly chute without issue. As I hammered away onto the finishing straight, I started to feel a bit of satisfaction in my race and as I exited the course, I wanted nothing more than to be warm and dry! I finished the race in 46th place, 2 laps down on the winner, Jeremy Powers. Looking back on it now, I wish that I had been able to go faster, ride different lines, flow smoother through the turns, dig deeper when it hurt. Of course, that’s easy to say in retrospect and that’s usually what I say after every race. But given the fact I was slowing to a walking pace going up Heckle Hill, I think I can take some satisfaction that I was mostly at my limit. My first Elite Nationals was definitely a learning experience and a whole lot of fun! The race itself exposed a few chinks in my armor but there will be plenty of time to work on that this year. 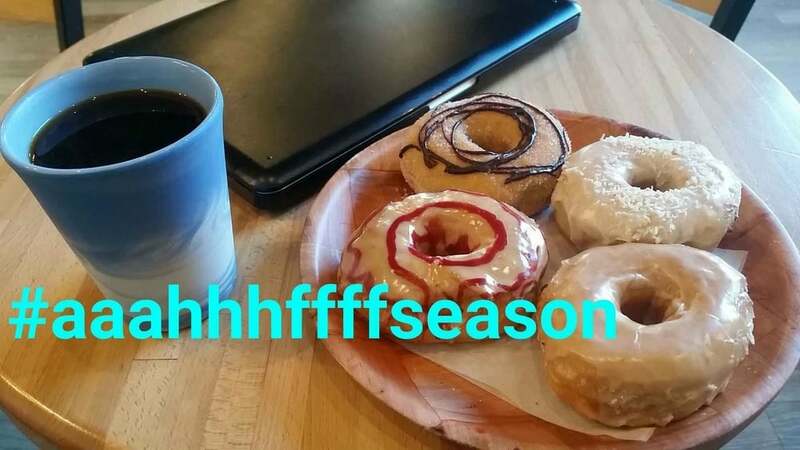 While part of me is chomping at the bit to start training for the 2016 cyclocross season, I’ll resist the urge for a few weeks and have another donut instead. Thank you to everyone that’s supported me this year! Thank you to Barry & Theresa for helping out all week in Asheville. Thanks you Richardson Bike Mart and the Matrix Cycling Club for all the equipment and mechanical support. And thank you to my coach, my family and my friends, both near and far, who came out to watch, cheer and/or send encouragement throughout the season. It means a lot to me to have such great people in my life and please know any smidge of success I’ve had, wouldn’t be possible without you!